Get meeting participants involved and engaged with these event ideas. Before or after your meeting, get attendees out and exploring the city in a structured environment by booking a guided city tour. For active groups, Bobby&apos;s Bike Hike features an array of tours to choose from, such as scenic bike rides along the lakefront and walking food tours. With Bike and Roll, take your pick from bike, walking or Segway tours throughout Chicago. 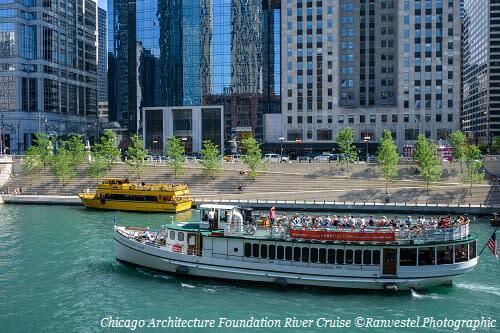 Or give meeting attendees a Chicago experience unlike any other with a Chicago Architecure Foundation tour, which could take place on foot, on a boat or even on the ‘L&apos; train. Get attendees interacting and working together by planning a fun team-building activity. Urban Adventure Quest can plan an exciting scavenger hunt through the city, so participants can solve problems while seeing the sights. Bring a sense of humor to your event with an interactive, improv-inspired workshop by Improve It!, or have meeting attendees sing to a different tune with Kidbilly Music, which provides team building through song development and inspiring music. 3. Integrate kiosks or genius bars throughout your event. Make the most of breakout sessions with an array of special stations featuring experts on important topics related to your event. This ensures attendees can ask questions, get hands-on experience and learn more about the topics in which they&apos;re most interested, all while connecting with fellow attendees. 4. Add games to your event or meeting. Who says business can&apos;t be a little fun? 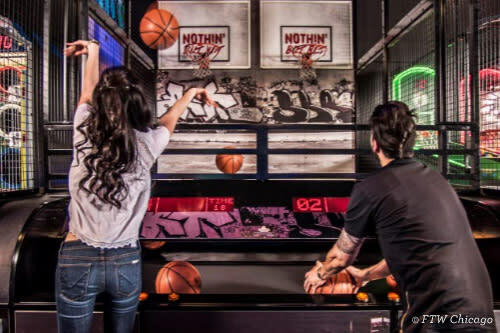 Encourage interaction among attendees by hosting a networking event at fun spots like the upscale 10pin Bowling Lounge, WhirlyBall—a mix of basketball, lacrosse and bumper cars—or the all-new FTW Chicago, featuring a steampunk-inspired space with arcade games. 5. Book a suite or block of seats at a sporting event. Give meeting attendees a classic Chicago experience when you book a suite, a corporate non-gameday event, or a block of seats to cheer for one of our many professional sports teams: Cubs, White Sox, Bears, Blackhawks, Bulls or Fire. From trivia games and live demonstrations to competitions and photo booths, interactive exhibits allow attendees to engage while learning. 7. Host a volunteer project. Give meeting attendees a common goal - and a meaningful team building activity—by planning a volunteer project through Chicago Cares. Get attendees interacting online by integrating social media into your event. Include hashtag signage in your event space to encourage attendees to post and share pictures on social media, feature a live social media feed display, host a Tweetup or InstaMeet for networking opportunities or even include Twitter or Instagram handles on name badges. 9. Have seating segmented by topic or common interests. Interacting is easier when you have things in common, so give meeting attendees something to talk about by featuring seating segmented by common interests, topics or industry expertise. 10. Arrange a brewery tour. 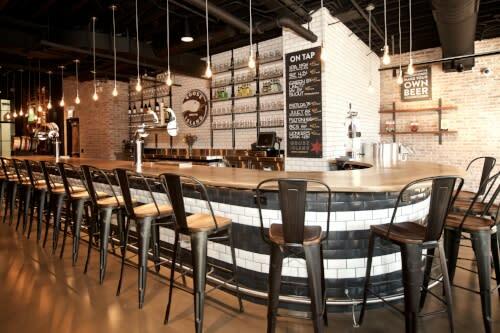 After your meeting, get participants networking over a locally brewed beer at one of Chicago&apos;s microbreweries. Lagunitas Brewing Company offers tours every day, and Goose Island Beer Company offers the option for pre-booked tours. Discover even more group-friendly breweries and brew pubs in Chicago.